"In founding our company recruiterboom we decided to make our company culture a #1 priority. Our goal is to make recruiterboom a top place to work — a majority of our lives is spent at our job, there should be no reason that employees are dissatisfied with their workplace, something that can easily be modified with investing in culture. Implementing WeCulture has helped us successfully hire a cohesive and energetic team who have become mentors and leaders to our new team members who are also learning the ins and outs of WeCulture. When we work as a team towards a common goal and are on the same page with our Core Values, we are all excited to be working towards progressing together. We consider ourselves all equals and teammates and can’t imagine our company without implementing this vital program into our workplace. Our culture has helped us attract and retain talent to our organization." "Chris's book has given me a lot of insight into WeCulture's early stages as well as how it can be rolled out for the long-term. His writing is very personable and easy to read, and the stories are enjoyable. At no point does it drag or lose your attention. I would recommend this book not only to anyone in the Staffing, Recruitment, or Sales industries, but also to those who are on the verge of building out their team or expanding their organization..."
"WOW! I've read many books on leadership, performance, organizational psychology and business but from a practical sense this is BY FAR MY FAVORITE. I love the way Chris presents his CORE VALUES and how ANYONE can implement WeCulture into their organization. Chris beautifully communicates his easy to understand methodology to the average reader, and uses powerful stories that highlight the benefit of adopting WeCulture. I will keep this book close to my desk and give it to my clients because it’s concise, easy to read and demonstrates that any leader, any team player in any size organization can use WeCulture to achieve extraordinary results. Well done Chris Ciulla!" 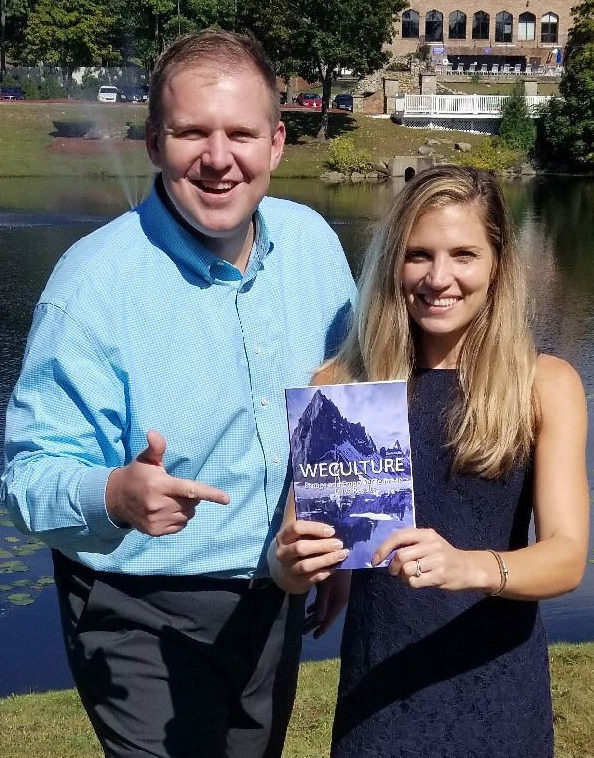 "WeCulture is refreshing in that it offers a real-world, post-recession approach to building or repairing company culture from scratch using a tested core value system. Author Chris Ciulla’s WeCulture is constructed on the power of accountability, teamwork, optimism and ethics. Through personal anecdotes and practical examples, Ciulla shares his business successes and failures that sales and operational leaders can identify with. Included is an effective formula for hiring employees that best measure the WeCulture core qualities: intellect, communication skills, thought process and drive..."
WeCulture is a process grounded in why there is a need for new approach; combined with how to execute while keeping the unique identity of your organization. Learn how to attract, retain, motivate, and inspire behavior that reflects common core values.